The Department of Civil and Environmental Engineering is part of the Bagley College of Engineering at Mississippi State University. The department is home to 380 undergraduate students, 100 graduate students, 14 faculty, and five staff. The department offers an ABET-accredited undergraduate program in civil engineering and has an active distance graduate program. The program supports instruction and research in the following engineering areas: construction, environmental, geotechnical, materials, structural, transportation, and water resources as well as supporting a secondary program for surveying. 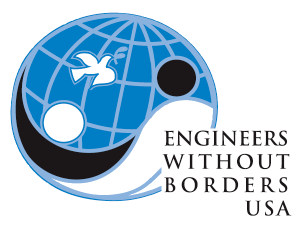 The department and the college also support the activities of a student chapter of Engineers Without Boarders (EWB-USA). EWB-USA is a non-profit organization established in 2002 to partner with developing communities worldwide in order to improve the quality of life of the residents in those communities. The MState chapter consists of students and faculty from various disciplines. Dr. Dennis D. Truax, P.E., BCEE, is the faculty advisor and the chapter’s professional partner is Mr. Bill Mitchel, P.E., of Brown and Mitchel Engineering on the MS Gulf Coast. The chapter was recently assigned a five-year community water supply project in Simwatacheula, Zambia. This project is working with this rural community of about 4,000 people in southern Zambia. Water is unavailable to grow enough crops to create food stores for the dry season. Therefore, community members are currently digging shallow wells to collect water for drinking and irrigating crops. These shallow wells are uncovered and unprotected. Large amounts of sediment and contaminants are present in the water the community is currently using leading to malnutrition, disease, and deaths in the community. The nearest alternative water supply is six kilometers away though it is only better than the local wells because it has a concrete casing. The MState chapter of EWB is working with the Simwatachelua Sustainable Agricultural and Arts Program (SSAAP), an NGO based in the US with representatives working in the community, to provide potable water to the community throughout the year. The goal of the project is to develop, construct and demonstrate a sustainable well drilling process for the community. The current design calls for developing a method to manually drill a shallow well (less than 15 m or 50 ft) with casing, screen, well head, solar-powered pump, and surface storage. It is currently anticipated these wells will be able to sustain flow rates of up to 50 liters per minutes (15 gal/m) well that will be cased proposing to dig wells in the area around the community. This would yield about 30 cubic meters (8,000 gal) per day. A well field of two to four wells would greatly surpass current potable water usage. However, if successful, additional wells would be used to support crop production for the community. The chapter is working with SSAAP and their volunteer engineers to gather information about the site. Per EWB-USA requirements, the project will include investigatory trip to support pre-planning process and design, a detailed design solution, extensive review design by local practitioners and EWB staff to insure technical accuracy and design sustainability, at least one trip for installation of the design, health and technical education for the residents, and a final visit to insure the project has improves the quality of life in the community. The overall program objectives are to provide the community of Simwatachelua with a year-round potable water source and provide innovative solutions that fit within the current technical and economic structure of the community. The chapter will educate the community about water-borne illnesses and the importance of clean water as currently there is no understanding of the concepts of bacteria or rudimentary sanitation. The ultimate goal of Mississippi State University’s chapter is to establish a system within the community that will provide clean water for drinking and irrigating crops to help reduce levels of malnutrition, disease, and deaths in the community. The total five-year project cost is currently estimated at $100,000 with assessment and preliminary design costing $21,000, project implementation at $62,000, and final evaluation and follow-up education costs of $17,000.